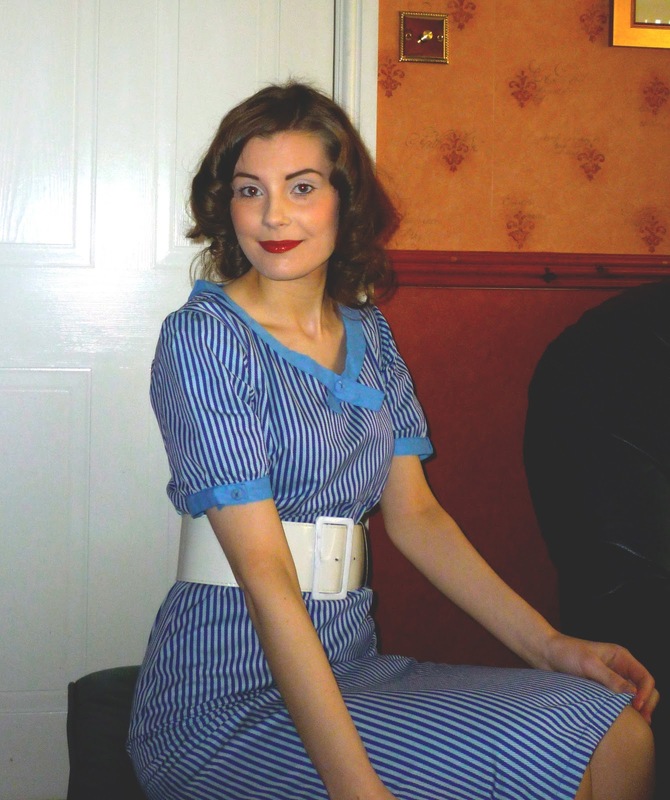 Recently I entered a competition on Lady K Loves' Facebook page, and somehow, despite being a very unlucky person who never wins anything, I managed to win their lovely Retro Chick dress. To enter the competition, all you had to do was select an item from their website and put the product image as your profile picture on Facebook. I have had my eye on this dress for ages and I was pleased to find that they still had my size in stock, so of course this had to be my choice. Side note; they now only have one size XS and one size L left in stock, so if you too would like to own the dress, go ahead and snap it up before it's gone forever! The parcel was very quick to arrive - dispatched I believe on Friday and arrived today (that is to say, today at the time of writing this, which is Monday!). The dress itself is an interesting fit - it's flattering and fitted but looks tighter than it actually is, which means it's also nicely comfortable and easy to move around in. The fabric is fairly lightweight but easy to layer up for cooler weather. The photos really don't do it justice - the weather is pretty bad today and it hasn't got properly light so I had all manner of trouble trying to get decent photos. I didn't brave going outside to take any as it's freezing and we've had a light dusting of snow; I just didn't want to wait until the weather is better as I just can't resist this dress. Part of the reason I chose it was the versatility - I imagined wearing it with 30s or 40s hair and accessories, but equally I can see it looking really great with more modern rockabilly style accessories and lots of eyeliner, à la Imelda May. I can't find any care instructions so I will probably hand wash it, just to be on the safe side. 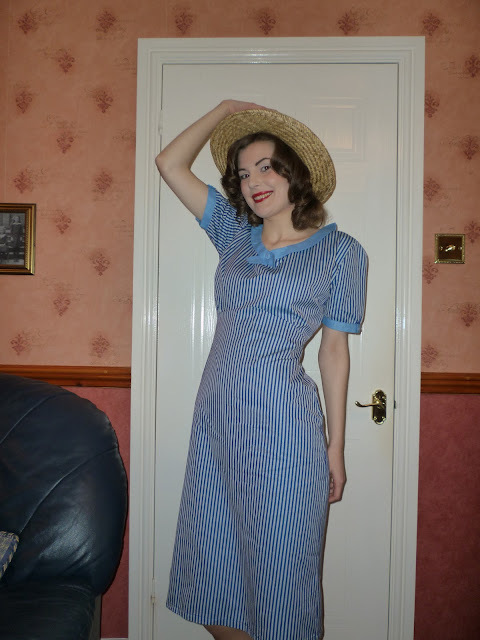 If you're interested, you can find the post about it by Gemma from Retro Chick (who the dress is named after) here. I do recommend it - her photos are much better than mine! I will have to get some better photos when the sun comes out. Thanks to Lady K Loves for a great competition. I'm still slightly in shock that I actually managed to win something! That is SUCH a cute dress!!! You look adorable! I'm going to check out their stuff now. My congrats to you, Helen! The dress is great and it fits you so much. Congrats. I have just found your blog from the post that retro chick posted on facebook. Love the blog cannot seem to follow while im on my phone but will do tomorrow when i get on the laptop. The dress looks lovely, you were very lucky! :) You have an interesting blog! You terrifically lucky lass, you! That dress is so timelessly pretty and truly looks fantastic on you. Happiest congrats on winning!